We are so lucky to have three returning Art Bikers this year - Devon, Eric and Jessica - and we are super excited to welcome Imogen to the team. 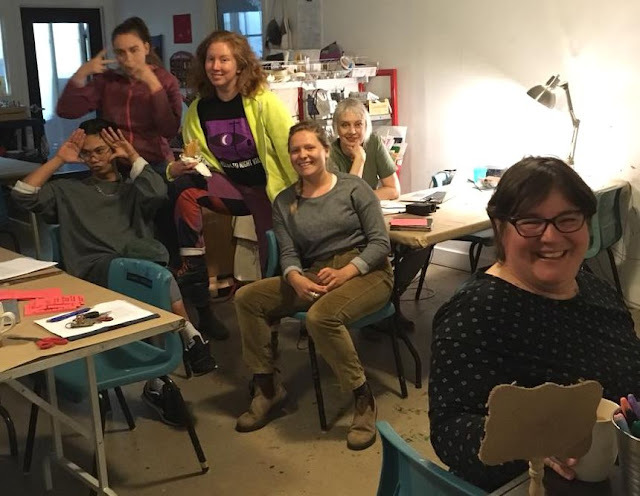 Training started yesterday with co-coordinators Heather and Melissa at Wonder'neath Art Society, where our studio is located this summer. We are off to a good start and look forward to connecting with you in the community! Visit here again soon for updates and our schedule.